On the occasion of the International Women’s Day on 15th March 2019 the Azerbaijan-France Chamber of Commerce and Industry (CCIAF) has organized “Arts, Crafts and Business” exhibition. The key sponsors of the events were Hyatt Regency Hotel Baku and french oil-gas company – Total. 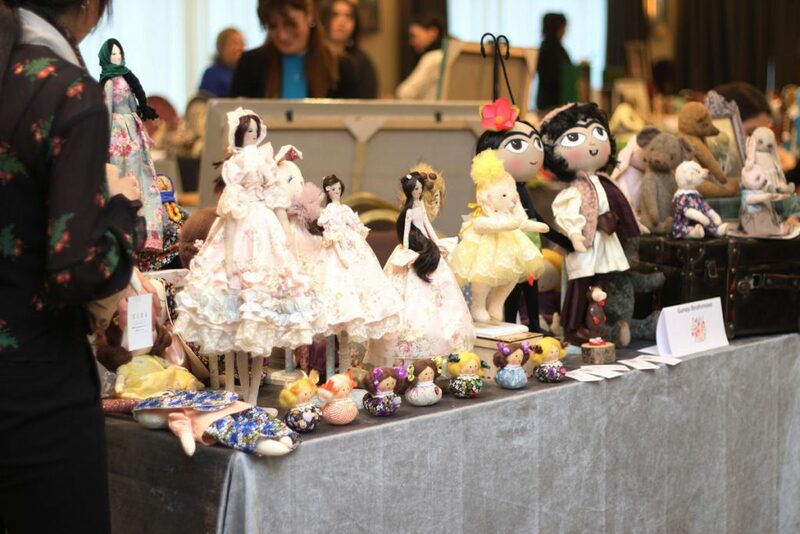 The event brought together around 70 talented women featuring and marketing a wide range of creative handmade products including souvenirs, paintings, jewelry, dolls, home decor items. Opening the event, the Managing Director of the Chamber Mrs. Narmina Safarova, the Chairperson of the Chamber Teyba Gouliyeva, the General Manager of Total company Denis Lemarchal and the Ambassador of France to Azerbaijan H.E.Mrs.Aurelia Bouchez spoke about the importance of women entrepreneurship and emphasized their role in the development of strong economies. The representatives from the CCIAF member companies and the Embassy of France, as well as representatives from other diplomatic missions, ministries and different organizations have visited the exhibition. The exhibition was followed by a cocktail reception.